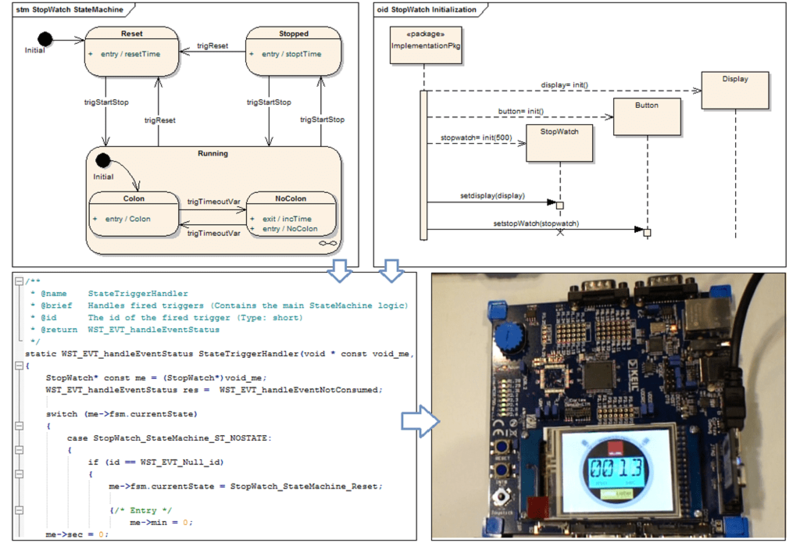 The screenshot shows an important new feature: the generation of the complete source code from UML model for realtime embedded systems. The user models the internal logic of the separate system parts, as well as the initialization of the whole component and its configuration. In a next step the code can be generated, deployed to an embedded IDE, compiled, deployed to an embedded board and executed.